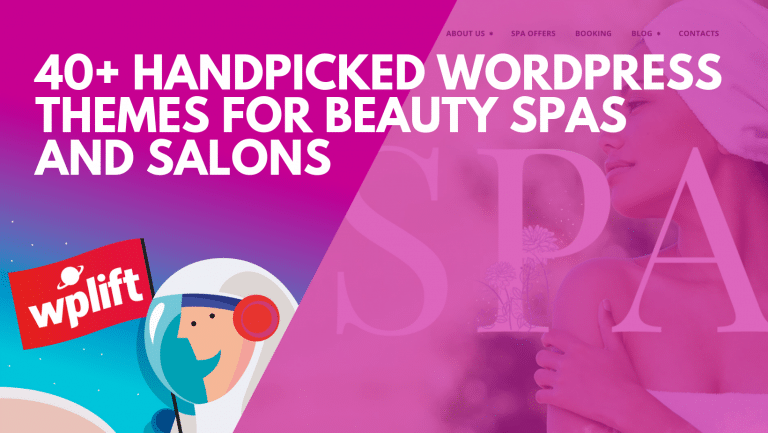 In today’s post we take a look at 40 of the most robust, popular and easily customizable WordPress themes for businesses. These themes have high sales for a reason – they are well designed and constructed and easy to modify to fit your brand. Some of the theme designers feartured are Elegant Themes, StudioPress, ThemeFurnace and some of the biggest sellers on ThemeForest. A responsive WordPress theme that works well on any device or gadget available in the market. The theme comes with a ton of short code options and a Uslider plugin. The theme is highly customizable and is available in boxed and wide layouts. Initially designed as a multi purpose theme, the theme exudes a corporate feel. Savior is integrated with Woo Commerce, possesses an array of slider options, has an extensive customization panel and an event calendar with recurring events. The theme is essentially modern in all aspects, minimal and clean. 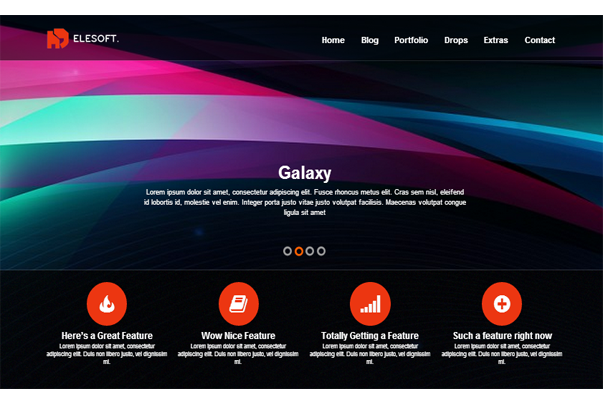 The theme has an awesome page builder tool and a powerful drag and drop feature. The theme has been revamped with Search Engine Optimization for better search results. A business and portfolio theme with a clean corporate design. The theme has been designed to suit both adept WordPress users and the less technologically savvy, so WordPress knowledge isn’t a prerequisite to use this theme to its fullest. A modern minimalist WordPress theme with the ability to project the desired online presence for any business. The number of features are not as numerous as most themes and it is better suited for WordPress newbies. A search engine optimized business portfolio WordPress theme with 10 custom page template options. The theme also includes a revolution slider that is valued at $15. There are unlimited backgrounds and skins at the disposal of the user. A clean and elegant WordPress solution for your website. The theme is ideal for the corporate world, small businesses and creative businesses. The theme is translation ready and operates well with WPML plugin. There are a plethora of page types available to the user. One cool feature is the Brandable Admin which allows you to strengthen your brand. Impact is a great theme for a business looking to create a great first impression. The theme is loaded with all the necessary features that make a good business theme. One feature that is difficult to come by is the ability to lightbox a video on your website, this particular theme is one that provides that feature. A clean and modern layout that would suit a website for a law firm or an individual attorney. This theme has been tailor made for lawyers. The theme is Search Engine Optimized and translation ready. The theme packs all the necessary aesthetics and functions to make it an exceedingly good choice for a corporate website. A multi purpose WordPress theme with advanced portfolio options and an excellent table manager. 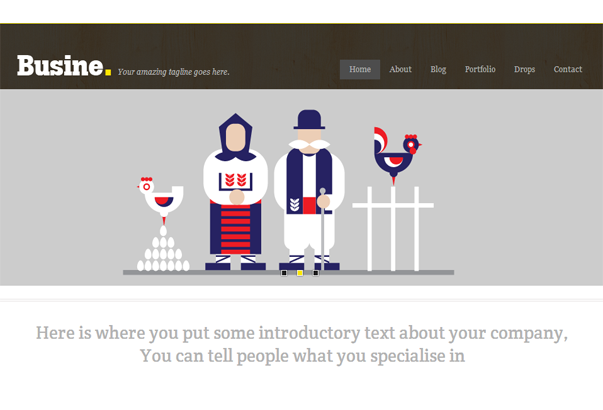 The portfolios available allow any professional or business to boast of their exploits. The theme is translation ready, search engine optimized and comes with custom widgets. Architecture theme is well suited for architects and other creative solution based businesses. The theme is minimal and comes with a feel of modernity that is very evident from the design. An advanced drag and drop feature coupled with 5 custom post types make this theme whole. A business theme that is available in two layouts a boxed layout and a wide layout. The theme combines two layout types well with the a beautiful slider. Freshlook theme advertises itself as a the ideal solution for your business’s online presence. And with a short code manager, search engine optimization, customizable pages and multiple portfolio options; it certainly is worth the money. A theme so designed to induce a corporate feel to the website. The theme options panel and page builder allow the user to handle their content effectively. A clean and flexible WordPress theme with a powerful options panel, short code builder, custom headers, google fonts and more than one page layout option. A revolution slider is included as part of the theme. 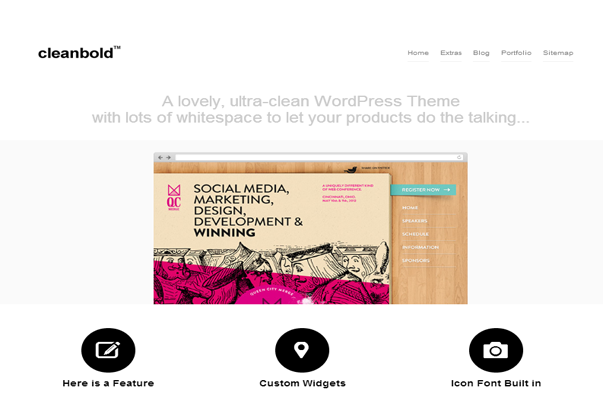 The number one selling WordPress theme (on themeforest), Avada is a fully responsive and easy to use theme. In addition to being easy to use, the theme has multiple purposes. Avada can be used for different types of websites be it a corporate, business, portfolio or blog. The biggest plus with this is that you can use this theme for your corporate purposes and for other purposes at the same price. Another big plus with this theme is that any glitches in this theme have already been discovered by the 35,000 people who have purchased this theme. Avada has an unlimited color palette, awesome sliders, tons of short codes, advanced portfolio options and different blog types. And to add to its extensive list of features it is WPML ready and can be integrated with Woo Commerce easily. Alyeska is a corporate theme that is defined by 2 characteristics elegance and flexibility. A user can engage a prospective viewer with a combination of layout options. The theme can be customized with the stylistic options available under the “styles” tab. The theme has a navigation feature called “flip over” or the alternative option is the “classic” main menu navigation. 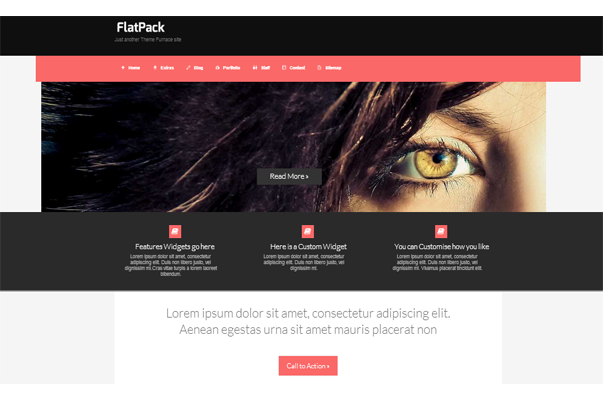 An extremely flexible multi-purpose theme with a drag and drop page builder. And the theme has multiple blog and header designs. It goes without saying that the theme is loaded with short codes and is search engine optimized. This particular theme is built upon on the Avia framework. Enfold permits the admin to design a new skin from scratch or use one of the 18 available skins. This theme is Woo Commerce ready and comes with 2D/3D sliders. There are many portfolio variations and the theme uses a gravity forms to build complex forms, if need be. Modernize is a WordPress theme that allows users to create unlimited sidebars, use over 350 font types or use a cufon uploader. The user can use any one of 15 pre-designed skins available and opt for a custom background. The admin can manage the pages and side bars using a drag and drop mechanism. In addition, there is a built in translator for the theme. inFocus is a WordPress theme with over 100 custom short codes and a short code generator. The theme is available with 30 predefined skins, 7 custom widgets, a powerful skinning system, a Nivo slider and multiple slider effect options. There is an excess of WordPress templates and custom post types for your use. An ideal option for a heavy duty site building job. A numerous array of options in the form of 16 custom widgets (11 of those short coded), unlimited sliders, font customization and custom blogging options. That apart, the theme is Translation ready with WPML and can be used for multiple sites. This theme is based on an extremely secure framework to ensure maximum security. Karma WordPress theme can be used to implement 3D sliders. The theme design is such that an endless amount of customization can be done from within the WordPress control panel. A corporate/business theme that can be used by programming/web design gurus, yet the same theme can be used by the least technology savvy person. A search engine optimized with a Flashmo grid slider, Peicemaker slider and a slider revolution plugin. An excess of 60 skins and a built in skinning system allow the users of this theme to use this theme interchangeably with varying appearances. A bucket load of short codes and 7 custom widgets add more value to this theme. Awake comes with unlimited portfolios in 7 different formats, Jquery and Nivo sliders. A responsive design, 4 premium color options and 3 slider options offer flavor to this corporate theme. The theme can be easily re-branded using typography and styling options available. The theme is WPML ready and be viewed in different languages. A search engine optimized, multilingual, ultra responsive, Woo Commerce equipped corporate WordPress theme. Yet another corporate WordPress theme but this on comes with a Revolution Slider Plugin (worth $15) and premium icons (worth $59). Apart from that, this theme is as customizable as they come with 500 fonts options, a plethora of useful short codes and pre-designed page layouts. Another corporate theme with a responsive design and Woo Commerce compatibility. One stand out feature of this theme in my opinion would be the template builder. An admin can use the template builder to customize existing templates or create new ones. Unite is a corporate WordPress theme with 5 predefined skins and 2 different administrator themed login options. Unite employs a superfish dropdown menu. The crisp design of the theme lends itself well for presenting content. A great corporate/business theme especially ideal for companies that recycle waste or sell alternate energy production systems like solar panels and wind mills. This theme can be used for any business that sells an eco friendly technology. The theme comes with a Nivo Slider and a Kwicks Slider. In addition, there are 6 predefined skins and 10 custom widgets available to the user for customization. A great theme for a truly simple blog with an elegant feel. The colors used are easy on the eye and overall the minimalist design of the WordPress theme makes it a very pleasant experience for your website’s visitors. 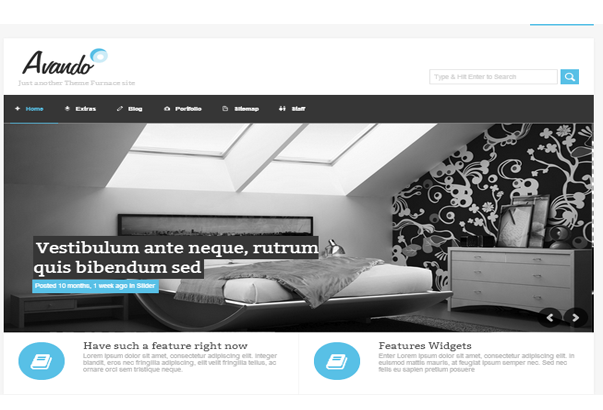 A sleek and professional theme for any WordPress website. A simple jQuery slider and easy to use homepage provides the leverage needed to grab the visitor’s attention. A theme to impress your clients whomever they may be. LeanBiz is a WordPress theme with a sleek appearance and the theme can be used to primarily focus on any one flagship product of your business. The theme excels at portraying one product above all others. A theme ideal for any business venture, the theme provides a great internet platform that receives your prospective clientele with ingenuity and a very affable approach. The theme offers users 6 layout options to choose from. A theme that displays most prominently your business’s most important projects and ventures. This theme provides emphasis on your biggest projects and thus enhances your credibility. The theme comes with 3 layout options and 7 color options. We just used Enfold for our new corporate site, Great theme – very happy with it.